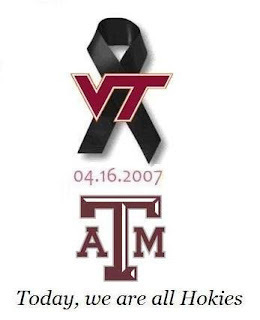 There are no better words to express about what happened at Virginia Tech than these seen all over the Facebook world: Today, we are all Hokies. As people from all over the country and the world share in the grief of this tragedy, may we always be quick to turn toward God. As Lilly Lewin said so well on her April 17 blog post, “we need you to help us understand things that cannot be understood.” Amen.